What are the reasons for either frame design? Is it merely style preferences? Or is there more to it, like performance and comfort? I thought this was an interesting question, so first of all, +1. First off, the sloping tube (your second image) is known in cycling parlance as a compact frame. I found an article on the Giant web site about the advantages of a compact frame. When I say "advantages" - this is Giant's word not mine! the compact frame is smaller than the corresponding standard frame. Therefore, less material is used in the manufacture. Therefore, it is lighter. Now I'll say straight away that you can attach your own weight to some of these features, this article has a whiff of marketing about it. But it certainly gives you some food for thought. Interesting also to note that Giant's current top-of-the-range mens' road bike (the Propel) has a standard frame (i.e. horizontal top tube). Take from that what you will! The trend towards compact frames goes back to the early 90s and an Englishmen named Mike Burrows. Burrows helped design several time trial frames which featured a radically lowered (but not sloping) top tube and a very long seat post. During this time most time trial bikes had top tubes that sloped from the seat DOWN to the head tube (the opposite of what we're now used to). Burrows thinking was that it allowed the rider to get into a lower position, a horizontal top tube presented less drag and that a reduced head tube would also result in less drag. Chris Boardman, one of the top time trialists at the time, rode a Burrows designed Cougar time trial bike and helped establish the look. Soon Burrows expanded the compact design to road bikes but raised the head tube so the rider could be in the right position for road riding (versus time trialing). This created the now common upward slope in the top tube. He also thought that the compact sloping design would allow for fewer frame sizes being needed which would greatly simplify manufacturing and inventory. Adjustments would only need to be made by swapping out stems and seat posts. Burrows got Giant to embrace the concept in 1995. Giant took over sponsorship of the Spanish ONCE team from Look in 1999 (might have been 2000?) The bikes were aluminum models and while very light they were also pretty harsh riding and the rear triangles were extremely short (the back of the seat tube was dented to allow clearance for the rear tire!) which made for poor descending. The bikes sold in shops featured adjustable stems and airfoil shaped seatposts. While the number of frames dealers had to stock went down the shops were required to stock different lengths of seatposts as the airfoil shape severely limited the range of adjustment. This was almost worse than having to stock multiple frame sizes (I worked at a Giant dealership at the time) Also the adjustable stems were too flexible and heavy for use in pro racing and fiddly on the consumer side. Finally, three sizes turned out not to be enough and so Giant had to expand to offer 6 sizes which pretty much defeated one of the main selling points. Reality is it's largely a fashion statement. For every pro there is a con. A sloping tube may make for a stiffer front triangle but a sloping top tube also adds more drag. Shorter seat stays make for a stiffer rear triangle which can make a bike more responsive in sprints but also doesn't absorb shock as well. A shorter seat tube is lighter but a longer seatpost is not. Its all about inventory and stock levels. Historically frames came in increments of 2 or 3 cm. So one model might be stocked in 48/51/54/57/60 cm or 48/50/52/53/56/58/60 By having more adjust in the seat post, the supplier can stock three frame sizes of small/medium/large and make up the in-between sizes with longer or shorter seat posts, which will fit all frame sizes. Personally I loathe long seat posts. Being a rider with long legs, I have my seatpost high normally. In the last couple years I've bent three seatposts because they're just too damn long, and my bodyweight plus leverage is just too much. Now I've taken to hammering a second steel pole up the seat post tube on all my bikes. Ugly and heavy, but fixes that problem. 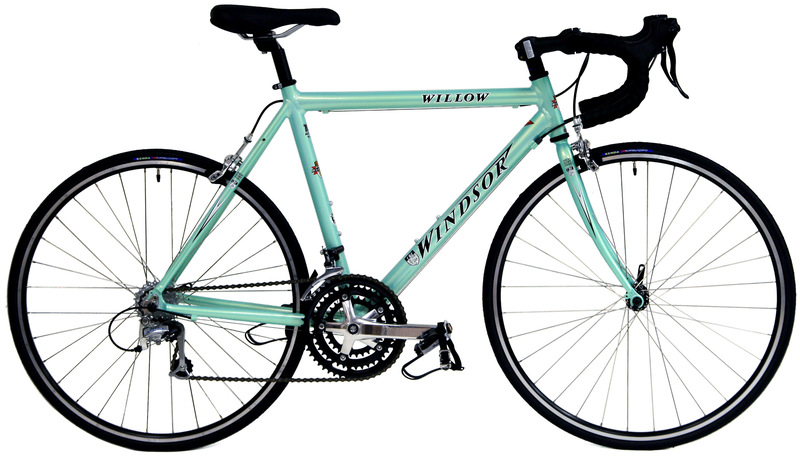 A standard frame with a horizontal top tube. A frame where the top tube hits that head tube at the same place a horizontal tube top tube would hit, and then slopes down to the seat tube. This often gets called a "compact" geometry. A frame where the top tube hits the seat tube at the same place that a horizontal top tube would hit, and then slopes up to the head tube. Rivendell makes bikes like this and calls it an "expanded" geometry. I don't know if others do this as well or not. An expanded geometry results in a stem that is higher than it would be on a bike with a horizontal top tube which in turn makes it easier to get the handle bars high relative to the saddle. 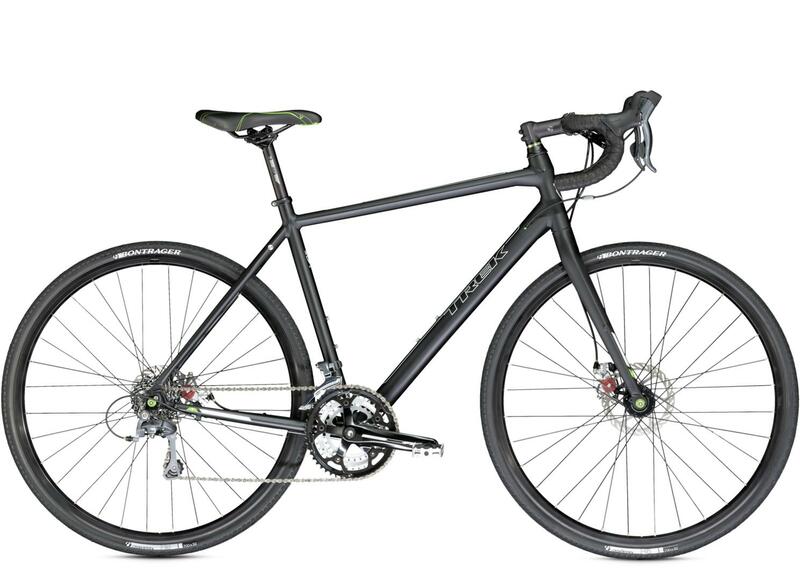 To me this also looks a bit better than a standard frame with a tall stem. There is a bit more material in the frame, so it is probably heavier by some tiny bit. A compact geometry means that you get a lower standover for the same (virtual) frame size. This seems like a nice feature in a mountain bike. It probably makes the bike a bit heavier than a standard frame since (I'd guess) that seat posts are heavier than seat tubes and the top tube is longer than on a standard frame. Depending on what you want in a bike any of these choices can result in a good fit. So some of it comes down to what looks good to you. I'm not sure how much of this is marketing, but I believe the main reason is comfort. The longer seat post has more flex to absorb bumps and the seat stays being lower gives the rear triangle more flex too. Another advantage is a lower stand-over height for bikes with high bottom brackets. Physics answer here. I'm going to use the term "low clamp bike/design" for the form with the slanted top tube, as well as "high clamp bike/design" for the form with the horizontal tube. Less frame sizes are required to serve all customers. Because the vertical position of the saddle is disconnected from the position of the seat-post clamp anyway, you can basically fit one frame size for all riders by using seat-posts of different length. This is strictly a pro for the manufacturers and dealers, as a customer you don't care how many different sizes are stocked, as long as you get the right one. They are lighter. Not the frame, that's heavier, but the entire bike. Because any weight reduction that you can get in the frame by moving down the clamp, will be overcompensated by a longer, sturdier, and heavier seat-post. The lower the clamp, the longer the seat-post, and the longer the lever that tries to bend the seat-post at the clamp, so the thicker the metal of the seat-post needs to be made. The head tube may turn sideways out-of-plane with the seat-post tube. I'm not enough of an engineer to correctly assess the impact of a lower clamp on this flexing mode, but I find it hard to believe that a low clamp frame should be more resistant to it than a high clamp one. The head tube may nod in the direction of travel. This kind of flexing slightly bends the top tube and lower tube. The longer the seat-post tube, the more the head tube needs to rotate to move up and down, requiring more bending of the top and lower tubes to flex by the same amount. So the high clamp design does a better job at prohibiting this movement. The seat-post may flex in any direction. And the longer the seat-post, the more it can flex. So, even if a low clamp frame is designed to be as stiff as a high clamp one, the high clamp bike will be stiffer overall. There is less danger of broken seat-posts. Remember that moving the clamp down puts much more stress on the seat-post, and seat-posts can bend or break. Also, the seat-post is a single point of failure, when it breaks, you don't have a backup. Depending on the situation, this type of accident can be quite hurtful. TL;DR: There is no clear winner. Both designs have an important security related point going for them. From a construction point of view, it's easier to build a robust high clamp bike. But high clamp bikes require a closer fit between the size of the rider and the size of the frame. Not the answer you're looking for? Browse other questions tagged road-bike frames geometry or ask your own question. What frames fit these requirements? Can a bike frame be retrofitted with internal cable routing without Disassembly? What are the advantages (or dis-) of the GT triple triangle frame?